Seven years ago, bread maker Hugo González opened up what is known to be one of the best bakeries in Mexico. 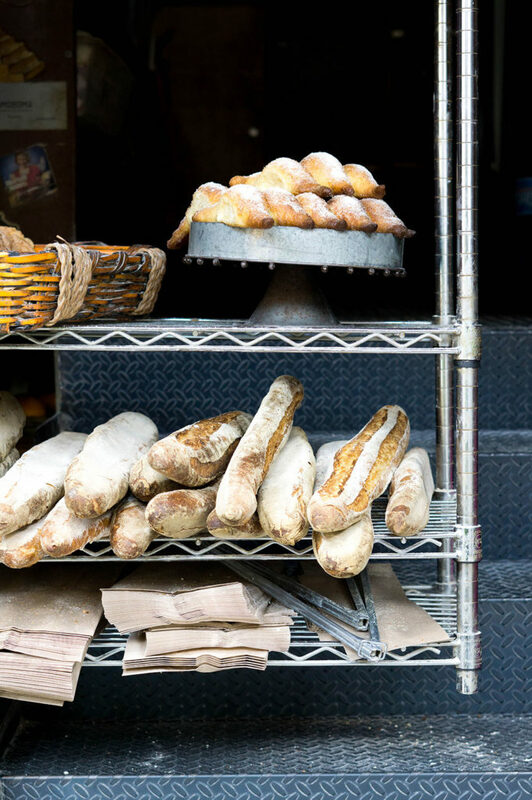 As you walk along Chihuahua Street in Colonia Roma, a vibrant and historic neighborhood, the strong aroma of freshly baked bread will lure you over. Hugo studied culinary arts at Universidad del Claustro de Sor Juana, a highly esteemed culinary school in the south of Mexico City and completed his thesis on bread fermentation. Soon after he was given the opportunity to stage at Ferran Adrià’s 3-Michelin star restaurant, El Bulli in Spain. 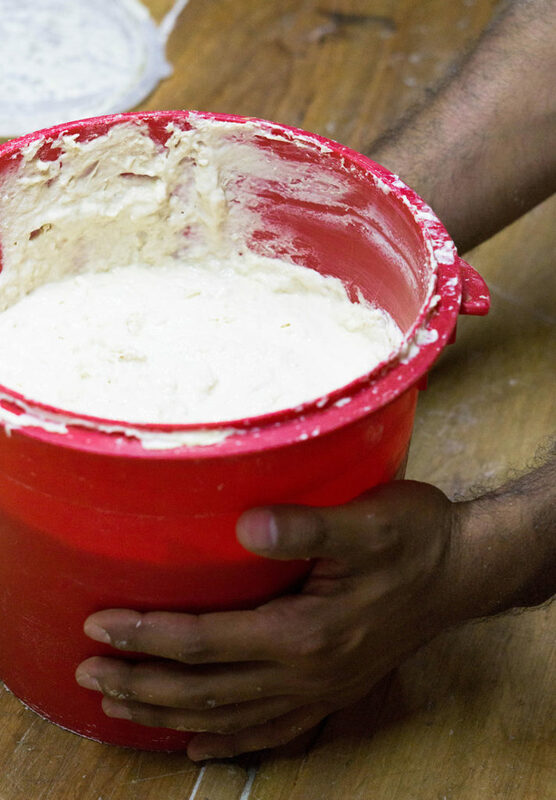 Everything at Pancracia is made with a sourdough starter that Hugo has been carefully nurturing for over 20 years. The thick & rustic crust and the soft & tangy crumb is a result of the fermentation-focused philosophy, different from classic bakeries in Mexico that stick to more traditional varieties using fresh yeast. The bakery itself is a tiny ten by ten feet space divided into two different levels. On the first level is a large oven, racks of freshly baked bread and a small wooden working table. Up top is a fridge space where the rare sourdough starter is kept and shelving where dough is left to ferment. The temperature on the second floor is slightly higher and perfect to make the most of the fermentation process. 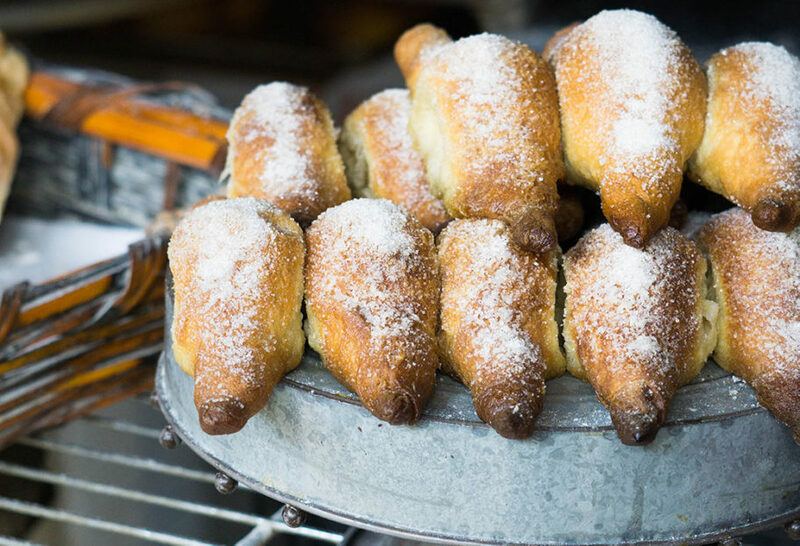 If you arrive early in the morning, you’ll be able to take home anything from doughy yogurt-based chocolate and vanilla conchas to savor through breakfast or fresh-out-of-the-oven fennel loaves to eat with dinner. Come late morning, some of Mexico City’s most renowned restaurants will be stopping by to pick up their artisanal orders. One of my favorite things are the vigilantes: oval shaped butter-based sweet bread bathed in lemongrass honey – native to South America. Once you eat one, it’s hard to not eat a whole tray. 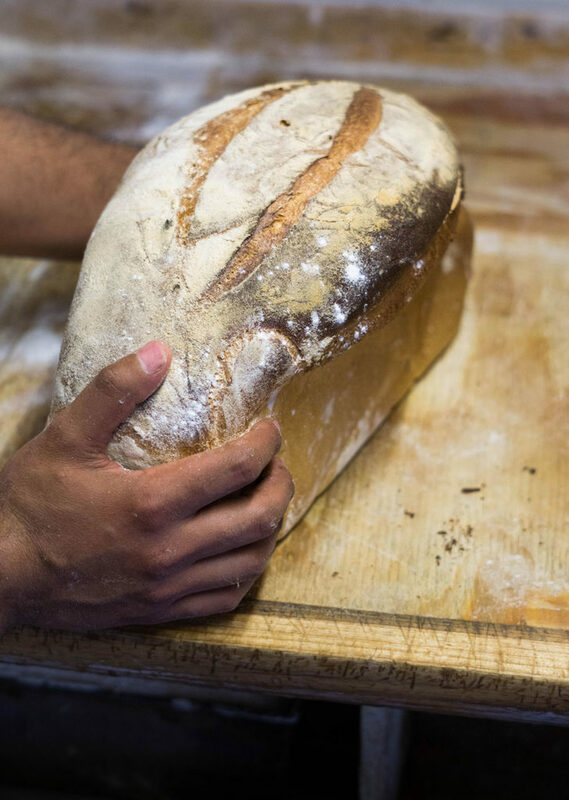 Over the years, Pancracia has made its mark on the neighborhood and has evolved into a strong reference for some of the best sourdough bread in the country. Is it okay if you share the recipe of Pancracia? I want the recipe please. I will try to post a recipe soon. Oh the smell is so wonderful! And thank you for your congratulations Lidia. Love your show 💗 you are a great teacher. I think she uses a herman starter…any ideas? hm, not sure about which bread it is. But it sounds good! I absolutely adore you and your show! You have a beautiful family and such a wonderful spirit. You make cooking look so easy and fun! I’ve learned so much about Mexican food and culture from your show. I am looking forward to even more seasons of your awesome show on PBS! I’m so happy to hear that you are learning so much from the show, Jasmyn! Hi Pati, I do not know if joy recall my daughter Nina contacted you about it being my 80th birthday this past December 22, 2018. You were so kind to autograph your cookbook that she gave me on my birthday. I watch your wonderful program all the time. You are such a joy to watch and listen to, especially when you are in Mexico, speaking to people, cooking with them, eating, tasting etc. You are one of a kind, and make it enjoyable to watch. Your boys are truly blessed to have you as a mother, such handsome boys. This is family. Viva Mexico. P.S. My daughter had mentioned that I ,from my mother, make good enchiladas. My parents were from Guanajato,Mex. God bless you. Hi Nadine! I’m so happy to hear you love the program, and I hope you are enjoying the cookbook. And thank you for your sweet message and kind words. My parents separated when I was a toddler. I grew up away from my father’s family. I have been learning how to cook and the history of his parents homeland from your shows. Thank you. Oh I’m sorry to hear that…but I hope you have fun learning more about Mexican cooking and history, Hazel. Love your show so much Pati, and watch all the shows I can, love how you combine travel with the cooking. I try very hard to watch all your shows, I love the way you teach and show us Mexico, and all the food and then make this food in your kitchen. Love the boys when they are on with you, they are so adorable, I am german and try anything different I can. Congratulations to you Pati for being nominated, you sure deserve this. Thank you so much for your lovely show. Thank YOU for your lovely congratulations, Hildegard. Love your show. Informative and delicious recipes. Your joy doing show is evident. I wish I can go to Mexico someday just to try the food. Just watching you has opened up my interest. I hope you get to go soon, Fay. Do you have a personal recipe for the sourdough starter? Congratulations on the Beard nomination. I watch your show at every opportunity. Love watching you and all the folks that share your passion of food. Thank you for your congratulations Karen! I will try to post a recipe soon. Thank you for the great article on Hugo’s bread and bakery! That bread looks positively beautiful. Congratulations on your James Beard nomination! Well deserved. We love your show! We love your show, and I find myself reading these words hearing your voice and enthusiasm in my head! I’m so jealous of the things you get to taste! Thank you. Looks awesome. Can he open one in Valparaiso, IN? I love watching your show. Wonderful article – it’s as if we are in the bakery. The people in your stories are always treated with respect. Congratulations on the James Beard nomination. Well deserved! I watch you as often as I can Patti.. your recipes are great, I love the fact that you take us all throughout Mexico and I especially admire the family values in which you seem to instill! Blessings to you and your family for the upcoming spring season. Hi Lula…I’ll try to put up a recipe soon! Is it hard to make bread like this? I have looked at bread recipes but have always been afraid to make bread. I really enjoy your cooking shows and congratulations on your James Beard nomination! Oh don’t be afraid to make bread, Carlita. Go for it! Wonderful story about Mr. Gonzalez & pictures are great. Brings memories of visit to basement bakery in Paris in 1972, bread looked similar & so inviting. The baker was from Spain & gave us bread & tart he had just made. Think you have inspired me to bake a loaf of bread for my hubby. Enjoy your show & see when your boys are on. What a joy for you! Good Luck. What great memories…thanks for sharing Myrta. First & foremost congratulations on your James Beard Award nomination for the third time in a row. I love hearing & reading about people working & make sourdough bread, because I also love baking with sourdough. So I appreciate the article on Pancracia and the impact it’s making in Mexico. It would be great to obtain a sample of his sourdough starter and bake bread with it, as I’m sure it has a great taste. Oh thank you so much Myles! Reminds me of my childhood growing up in Germany. A block away from my home was a bakery ,and I would wake up in the mornings to the smell of freshly baked bread! Great article, I wish more real bakeries were in my area. Oh I’m so glad that the article brought back such good memories. Will I try to post one soon, Michael. Hola Pati, este es el tipo de pan mi esposo ha estado buscando para que le haga. Puedes dar la receta? Que Dios siga bendiciendo tu camino y tu familia. Eres mi Chef preferido. Soy cubana pero adoro la comida mejicana. Hola Graciela! Espero pronto subir una receta a mi sitio. 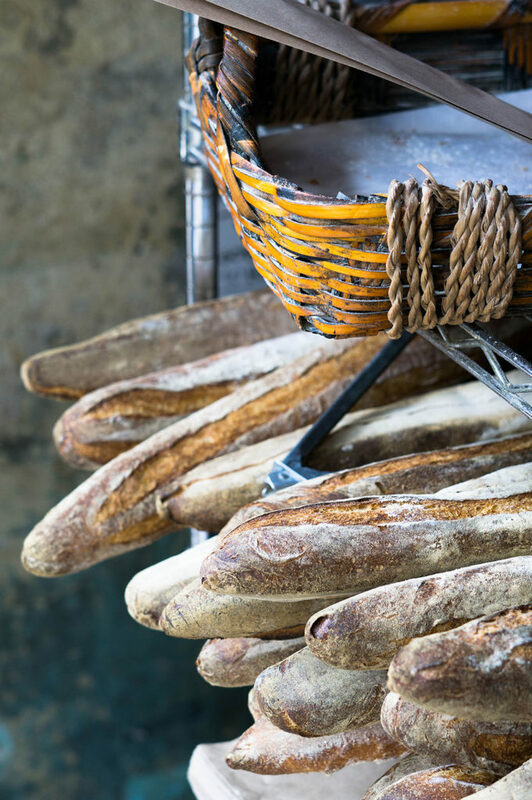 I can only imagine how these beautiful breads taste but my eyes surely feasted on the photos. Congratulations on your James Beard nomination you have become my favorite TV foodie. This is so exciting to me! I started baking with sourdough just a month ago… it’s amazingly addictive! Hola, Pati! My homemade starter is 23 y.o. Baking with sourdough is magical! Best of luck on the Beard nom. My daughter works at another nominee’s restaurant group (Boka)!!! Thank you, and good luck to your daughter too! Yes, I want to go visit Hugo! Looks so delicious. Oh I hope you get to go soon!